According to NME.com, LED ZEPPELIN's Jimmy Page will be honored with a special one-off award, the Rock'N'Roll Soul Award, at the NME Awards 2015 in Austin, Texas. The ceremony will take place this Wednesday, February 18 at London, England's O2 Academy Brixton. NME editor Mike Williams says: "This special, one-off award has been created to reflect one of the most important and iconic figures to have ever picked up an instrument. 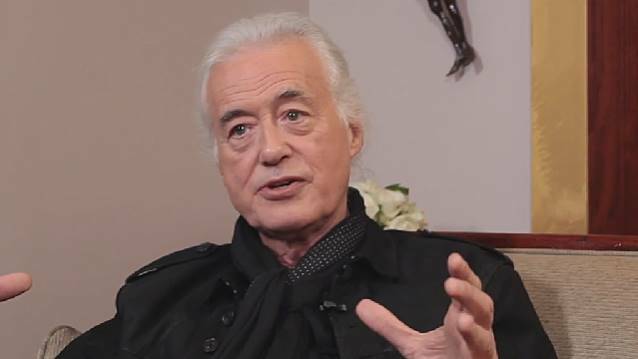 There is nobody in popular culture quite like Jimmy Page, and we are honored to be giving him the Rock'N'Roll Soul Award at this year's ceremony."